Looking For A Brokerage To Buy These Stocks? Building a list of the best Canadian stocks to buy on the TSX is no easy task. These sectors make up over two-thirds of the stocks on the TSX. In terms of Canada’s best stocks, financials are for the most part established, low to moderate growth companies. Canada’s energy and material sectors, such as the Canadian lumber industry, have had a difficult time over the past few years due to macroeconomic conditions. Although conditions are improving, the outlook for both the aforementioned two sectors is still suspect at best, and people are holding off on buying these stocks. Despite the limited options, there are still some strong Canadian stocks to buy in 2019. In selecting these Canadian stocks, we looked at historical performance and expected future growth. We also paid close attention to the company’s market potential and management’s track record of delivering on their expectations. When it comes to finding the best Canadian stocks, there is no perfect formula and does require a decent level of assumptions. As per the National Association of Investors Corporation (NAIC), a good barometer for growth companies is projected five-year growth rates in excess of 10%. The Canadian cannabis industry is growing at a rapid pace. Want to stay ahead of the game? Check out our post on the top Canadian cannabis stocks. Our top 5 picks: ? All Canadian stocks on this list are expected to exceed growth expectations over the next few years, making them some of the best Canadian stocks to buy today on the TSX. What account are YOU buying these stocks in? Stocks, growth stocks in particular, have the potential to have higher than normal appreciation. As such, it’s important to know what account you should be holding them in to prevent an unwanted tax bill in the form of capital gains. Find out more about capital gains here. Cervus has fallen to the bottom in our list of the best stocks to buy in Canada. Cervus is engaged in the sale, after-sale service and maintenance of agricultural, transportation, construction and industrial equipment. The Canadian equipment company services and sells several high-profile brand names including John Deere, Peterbilt, Bobcat, JCB, Clark, Sellick and Doosan. Although the company’s operations are primarily in located in Canada, is also has dealerships in Australia and New Zealand. After a few rough years with declining income, Cervus rebounded in 2017 with sales growing 15% YOY through nine months and net income growing 10% over the same period, making it one of the best Canadian stocks to buy. Cervus operates in an industry with high barriers to entry in Canada and is well positioned to take advantage of the continued recovery of both the oil and gas industry and agriculture industries. The company is also actively looking to grow through acquisition, targeting companies which are trading at attractive values and that would fit well with existing operations. These factors have led to analysts’ to estimate that net income will rise by 32% in 2019. Cervus currently trades at an attractive valuation and at 11.4x earnings, their share price is not keeping up with expected earnings growth providing investors with an attractive investment opportunity. If you’re looking for a Canadian stock in the equipment industry, Cervus may be a wise option. Manulife Financial enters our list of the best Canadian stocks at number 27. Manulife Financial is one of Canada’s largest insurance companies. As an insurer, they are well poised to take advantage of rising Canadian interest rates. Over the past five years, Manulife has grown earnings by a compound annual growth rate of 15%. This is exactly why we decided to include them in our list of the best Canadian stocks to buy today. Manulife is also a Canadian Dividend Aristocrat having raised dividends for five consecutive years. This is a notable accomplishment given that the company’s dividend was stagnant for years following the financial crisis. As a percentage of future twelve-month earnings, the Canadian insurance giant’s payout ratio is only 32%. This leaves plenty of room for continue dividend growth. Insurers have been flocking to Asia, which has been a boon for the company. Since entering the Asian market in 2014, new business value in the region has grown by 38% annually. Manulife is focused on high-return businesses and leveraging the scale of its Asian operations. As a result, the company saw 7% margin improvement since 2014. Expectations are for margin expansion to continue. Manulife is one of the best stocks to buy if you’re looking for both a Canadian stock that pays a dividend and is poised to grow. We expect them to move up on our list of Canada’s best fairly quickly. Falling down a couple spots on our list of Canadian stocks to watch is Alimentation Couche-Tard. Alimentation Couche-Tard is the largest convenience store operator in Canada and 2nd largest in North America. While constantly expanding its presence in the US and Europe, it successfully built a convenience store including daily use products. Many stores are also combined with fuel service stations. ATD operates 12,081 stores (7,863 in North America, 2,708 in Europe and 1,510 internationally). Instead of simply selling chips and beer, ATD focuses on superior offerings which includes fresh food, private labels and strong product concept offerings. This is exactly why it is one of Canada’s best retail gas stations. ATD’s main strength lies in its ability to acquire and integrate convenience stores in Canada and across the world and shape them almost instantly with its own branding. ATD is not buying other stores to face the competition or because management needs to follow the parade. In fact, ATD IS the parade. It is the leader in the market and dictates its vision. Hydropotherapy Corp. is by far the riskiest of the bunch when looking at our list of Canadian stocks. This Canadian-based pot stock is a licensed marijuana producer. Investors must be prepared for significant volatility with an investment in such a company. 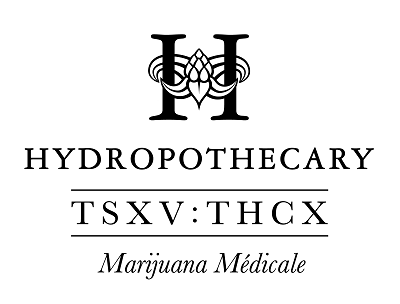 Hydropotherapy recently entered into a 5-year agreement with its home province of Quebec to supply up to 200,000 kgs worth of cannabis products. It is the largest agreement in the province, outsizing the deals made by Aurora Cannabis and Canopy Growth. 2019 is going to be a banner year for the company as it is poised to significantly increase capacity, and may begin to establish itself as one of Canada’s best Marijuana companies. In June, Hydropotherapy is expected complete its 250,000 square foot expansion which will add annual production capacity of 25,000 kgs. In comparison, the company’s current production capacity is only 3,600 kgs. A second expansion which is expected to be completed by the end year, will bump the Hydropotherapy’s annual production to 108,000. Analysts have an average price target of $7.42, implying 72% upside over the next year. But, be well aware that Canada’s cannabis sector is highly volatile like we’ve said, and the company will need to make excellent strides to hit these earnings projections. Toromont is another newcomer in our list of the best stocks to invest in. Toromont Industries Ltd is a another Canadian equipment manufacturer and it operates through two business segments: the Equipment Group and CIMCO. It operates one of the largest Caterpillar dealership networks in the country and CIMCO is a market leader in the design, engineering, fabrication and installation of industrial and recreational refrigeration system. The Canadian oil and gas industry contributes heavily towards the Canadian economy. As such, there are some huge oil and gas stocks here in Canada. Check out our best oil stocks here. Or, if you’d like some exposure to the full industry, try out our best Canadian oil and gas etfs. In 2017, Toromont made several acquisitions which led to the company posting record revenues this past quarter. Expectations are for Toromont to post 50% earnings growth through 2019 and its share price is just barely keeping up with these expectations. As industrial activity ramps up, Toromont’s order bookings and backlogs continue to grow. Analysts have a one year an average price target of $62.75 implying upside of approximately 11% from today’s share price. Badger Daylighting falls to number 23 on our list of the best Canadian stocks for 2019. Falling to number 23 on our list of the best Canadian stocks to buy right now is Badger Daylighting, North America’s leading distributor of non-destructive excavating services. Badger is somewhat of a contrary pick as the company has struggled over the past couple of years. Revenues have stagnated and EPS have actually decreased by an annualized 25% over the past two years. Why include it on a growth list? When analyzing growth companies it is important to look forward and in Badger’s case, the future appears to be bright. In 2017, its financials have been extremely positive having grown earnings per share by a whopping 57%. Management expects the momentum to continue into 2019 on the back of improved macroeconomic conditions where they expect to double US business in the next 3 to 5 years and has targeted EBIDTA growth of 15% over the same time period. Analysts expect Badger will grow earnings by 20% in 2019. Constellation comes in at #22 with our list of Canadian stocks to buy for 2019. Moving down 2 spots in our list of the best Canadian stocks for 2019 is Constellation Software. Constellation Software specializes in acquiring, managing, and building vertical market software businesses. Constellation has been on a tear as of late returning approximately 25% YTD and has averaged a 30% return over the past 3 years. The Canadian Tech industry consistently outperforms the TSX Composite. Constellation is one of the reasons why. Check out 14 other stocks on our list of Canada’s best tech stocks. Furthermore, the company doubled sales to 1.84 billion from 2012 to 2015 and despite this impressive run, the company still has more to give. Constellation Software has achieved phenomenal returns primarily through roll-up acquisitions. Constellation is one of those that has largely flown under the radar for retail investors but don’t let its lofty share price turn you away. Management has proven to be excellent capital allocators and are extremely disciplined in their acquisitions. Expectations are for 20% earnings growth through 2019. Dollarama has fallen sharply in our list of the best Canadian stocks for 2019, partly due to poor earnings. However, there is still lots of positive aspects about the company. Dollarama has been one of Canada’s most impressive growth companies over the past 5 years. Since 2013, the company has grown EPS by an annualized average of 26%. Likewise, Dollarama’s share price appreciation has been even more impressive with a CAGR of 65% over the same time frame. The company continues to target a high number of store openings, which will increase its footprint and it has proved capable of shifting its product mix to higher margin items. As it continues to mature, it is perhaps not realistic to expect it to continue its blistering growth pace but its expected growth rate is still impressive. Analysts expect earnings to grow by approximately 16% in 2019. Perhaps those estimates may be a little conservative the company has beat expectations in every quarter in 2017 and revised growth margin estimates to the upside back in September which in part helped drive a 25% increase in quarterly EPS in Q3. Magna International is still one of the best Canadian stocks you can buy in 2019, but problems with the auto industry have caused it to fall. Falling 2 spots but staying on our list of the best Canadian stocks to buy is Magna International. Magna International is more than an international automobile part supplier; it also designs, develops, manufactures, assembles and engineers automobile parts. Magna sells to OEMs (original equipment manufacturers) across 26 countries. It offers 86 products that go from seating to roofing systems. One industry people looking at the automobile sector might miss is lithium. Lithium is needed for electric cars. Check out 7 of the best lithium stocks that may take advantage of this. MGA relies on Detroit automakers for about 50% of its sales. The car industry is obviously cyclical, but MGA has been able to show strong growth by adding more products to its catalog. MGA is a leader in the auto parts industry and this serves it well as many manufacturers tend to concentrate their processes with fewer suppliers offering wider product ranges. This is exactly where Magna stands in the market. With a market cap of $19.5 billion, MGA is often chosen for its size and its stability. Car manufacturers are looking for suppliers that will follow them for several years, not just for a short ride. Stantec drops 2 spots to number 19 on our list of the best Canadian growth stocks for 2019 mainly due to a stagnant period where the company didn’t see much growth. Stantec provides professional services, such as engineering and architecture services, in the area of infrastructure and facilities for clients in the public and private sectors. It is the third-ranked North American Design firm and tenth ranked global design firm generating approximately 3 billion in revenues. Over the past five years, the company has grown revenues by an impressive CAGR of 20%. Stantec has a clear growth strategy, that of growth through acquisition. Since 1994, the company has made over 120 acquisitions, and the company expects to maintain revenue CAGR of 15% over the medium term (3-5 years). It expects to achieve this through a combination of organic growth and further acquisitions. Analysts expect earnings to mirror the company’s anticipated revenue growth and expect Stantec to grow earnings by 37% in 2019. OpenText cracks our list of the best stocks to buy in Canada this update at number 18. Open Text goes from missing the list to number 18 during our update of the best stocks to buy in Canada. Open Text is the world’s largest enterprise information management (EIM) software and solutions company. This tech leader is a rare combination of growth, income and value. OpenText is one of only four Canadian Dividend Aristocrats in the tech sector. Having raised dividends for six consecutive years, it has 15% annual dividend growth rate. This is one of the best dividend growth rates among Aristocrats. The company can be considered a serial acquirer having closed on more than two dozen acquisitions since 2007. It has grown earnings at a double-digit pace over the past ten years and has returned 543% over the same time frame. This is 54.3% growth annually! This tech leader is also one of the most undervalued tech companies. It’s forward price-to-earnings, price-to-book and price-to-sales are all below software peers and industry averages. Scotiabank is a newcomer on our list of top Canadian stocks, coming in at number 17. Bank of Nova Scotia is one of Canada’s Big Five banks and the third largest bank by market capitalization. The bank’s inclusion on our list of excellent buying opportunities is in part because of its recent under performance. Confused? Let me explain. Canada’s large banks have been the most reliable performers on the TSX. Over the long term, they tend to rise and fall in tandem. Therefore, when one under performs it usually signals a buying opportunity. Research has shown that if investors where to invest in the worst performing bank of the previous years, they enjoyed returns in excess of 20%! Guess who has been the worst performing bank? That’s right, Bank of Nova Scotia. The Strongest Industry In The Country… Or The World? Canadian banks are often deemed one of the best investments any investor in the world could make. Their recovery during the 2008 crash took significantly less time to recover from than most industries. Check out the best Canadian bank stocks to learn why. Scotiabank has been pursing acquisitions which has negatively impacted them in the short term. An equity raise and one-time acquisition costs have hit the bottom line. On the flip side, these acquisitions will drive both top and bottom line growth. The bank has on the highest growth rates among its peers. In at number 16 on our list of the top Canadian stocks is Enbridge. Enbridge operates the longest pipeline in North America. The company recently merged with Spectra to create an energy infrastructure company. About 2/3 of ENB’s earnings are generated through oil sands (liquid pipelines) distribution while the other 1/3 comes from natural gas transmission. Enbridge is a stock that is a holding in a ton of Canadian ETFs, and for good reason. The stock is one of the most reliable dividend payers in the country. Figure out how to streamline your investments with the best Canadian ETFs. Enbridge currently has $26 billion worth of projects on the table and another $48 billion in development. Among those projects, there is the Line 3 replacement. Honestly, I’m not a big fan of the energy sector. In general, commodities are volatile and companies in these industries often post disastrous results during downturns. However, Enbridge is an exception. After the merger with Spectra, ENB became an oil sands and natural gas behemoth with over $165 billion in infrastructure assets. As its cash flow is predictable, management expects to drive a 10-12% dividend annual growth rate through 2024. Between January and November 2017, the stock lost almost 20% and now pays over 6.5% yield. Intact Financial falls to number 15 on our list of the best stocks to buy in Canada. Intact Financial is one of Canada’s lesser known insurance companies. The company specializes in P&C insurance offering a range of car, home, and business insurance products. As with a good portion of the TSX, Intact’s share price has struggled this year. However, this presents a great buying opportunity as the company’s share price has not kept up with its anticipating earnings growth. Its PEG ratio is 0.80 and a PEG ratio lower than 1 typically means a company is trading at a discount to their growth rate and can be considered undervalued. Intact has targeted net operating income growth of 10% annually and its most recent OneBeacon acquisition is also expected to add to operating income upon closing. Analysts agree as they expect the company to grow earnings by 31% in 2019. With a current P/E of 16.7 and a dividend yield of 2.9% that is growing at an annualized rate of 10%, Intact Financial is well positioned to reward investors. We hate to jump on the bandwagon, but here is no denying the momentum of cannabis stocks. Although Canopy remains best in class, no one is growing at a faster pace than Aurora Cannabis. The company has made the two largest acquisitions in the history of the industry (MedReleaf & CanniMed). As a result, Aurora has the largest funded production capacity in the industry (750,000 kgs). Although Aurora has paid handsomely for this production, no one is better positioned to step up should demand for recreational cannabis be larger than expected. As the largest producer, it is fitting that the company has signed supply agreements with the majority of provinces. With recreational sales going into effect October 17, Aurora will see a significant bump to its top line. Likewise, its producer status has large beverage companies circling the company. A deal with a major beverage company is likely and will certainly propel the stock higher. Cannabis stocks are risky. But with high risk comes high potential reward. If you’re looking for some under the radar stocks, check out our piece on trading penny stocks in Canada. A couple alternative lenders have made our list of the best Canadian stocks to buy, and you’ll see them at the 10th and 9th spot. Equitable Bank differs from our next stock on our list GoEasy mainly because they offer mortgage solutions. If you’ve been in the housing market or are looking to enter you may have heard of something called the dreaded stress test. And yes, it is dreaded, and it is stressful. Taking away an average of $70 000 in purchasing power, the stress test has placed home owners and larger banks in a sticky situation. It’s harder to get a Canadian mortgage, by a significant amount. However, companies like Equitable Bank don’t have to follow these rules. People are literally flocking to alternative lenders, whether it be high risk borrowers or those who simply can’t qualify for the home they need. It presents a unique opportunity in the industry. What we like most about Equitable Bank is they are truly a triple threat in terms of Canadian stocks. They provide excellent growth, a solid dividend, and amazing value. Analysts expect the Canadian lender to provide earnings growth of over 80% and sales growth of just over 21% in 2019. The company trades in the mid sixties at the time of writing, and analysts have placed upside potential of 24.8% on the Canadian lender for 2019. Goeasy is a full-service provider of goods and alternative financial services. It operates in two segments: easyfinancial and easyhome. Although easyhome has been profitable and continues to grow, the company’s real growth prospects are found within its easyfinancial portfolio. With mortgages becoming harder to get, these two alternative lenders are among the top ranked stocks by our screener. You can view the top banking stocks on Stocktrades premium, absolutely free. Over the past year it has made strategic decisions to enter the Quebec market and to enter a new financial lending sector. Previously, GoEasy was focused on unsecured loans of $500-$15,000. Recently, goeasy expanded product offerings to unsecured loans of $15,000-$30,000, an $18 billion market. GoEasy is on its way to becoming a Dividend Aristocrat as it recently raised dividends by 25%, its fourth consecutive year of dividend raises. The company is expected to grow earnings by 58% through 2019. Trading at a forward P/E of 17.0, the company is cheap. A Canadian staple, Canadian Tire has been one of Canada’s biggest retail giants in recent history. Canadian Tire has over 1698 stores across Canada, including popular brands such as Marks Work Warehouse. The one key difference that separates the company from other retailers is its ability to prevail as a brick and mortar retailer in the face of an online boom. It’s branding strategy, along with key acquisitions of companies mentioned above like Marks and Helly Hanson have helped the retailer continue to bring people into the stores. People aren’t ordering tires or appliances online, and they generally like to try on expensive clothing before buying. Its Mastercraft brand provides cheap power and hand tools to consumers not looking to spend a fortune, and technological advances in the companies product department have been proven key to getting people into the stores and buying from them instead of online giants like Amazon. Analysts predict the Canadian retailer will grow earnings by 9.40% in 2019, and sales by 3.40%. These seem mediocre, but for a company of this size, especially in an industry that is struggling, they are solid. Analysts are also predicting 20.4% upside potential for the stock in 2019. Combined with a very healthy dividend of 2.84% (33% payout ratio), Canadian Tire is an excellent option for those looking for exposure to the retail sector. I was a little confused when I first heard about Park Lawn Corporation. I figured they were a landscaping company, and I was quite impressed with the fact that a landscaping company could end up making its way to the TSX. However, the Canadian company doesn’t deal with lawns. It deals in the funeral industry. Park Lawn specializes in memorialization, cemetery and funeral industry products. With death being obviously one thing we cannot avoid, its hard to look away from Park Lawns business model. Departing loved ones are often grieved extensively, and those still around want to make the sending away of a loved one a top priority. As such, they are willing to spend more money. Park Lawn has been taking advantage of this, and has grown exponentially over the past while. The company has over 150 locations today, a far cry from the 9 it started out with. As it secures cash flows for pre-financed funeral arrangements, it is able to spend those cash flows on unique acquisitions of other Canadian companies as well as property. Analysts expect the company to grow earnings by over 39% in 2019, as well as sales by 32%. The Canadian company is trading at a hefty 67 forward P/E, but its two year PEG sits at 0.69, which gives us a strong indication of how much potential analysts figure this stock has. One of the few Canadian oil and gas companies on our list of the best Canadian stocks to buy for 2019 is Enerflex. Enerflex is a supplier of natural gas, oil and gas processing, refrigeration systems and electric power equipment. The company provides unique exposure to the oil and gas industry as it actually doesn’t mine or process the commodity itself. It instead provides oil and gas companies with equipment to do so. Enerflex wasn’t on our radar at all, until its recent fiscal 2018 closed out with some excellent numbers. Revenue is up 9.7% year over year, gross margin 7.5% and the company’s USA bookings are up over 112% from the previous year. The Canadian oil and gas company is priced very reasonably, trading at a forward P/E of 13.71, a price to book of 1.34 and 2 year PEG of 1.48. Although sales estimates are expected to drop in 2019, it will be up to the company to prove analysts wrong. With a current price point nearing $20, the company has one year upside potential of over 20%. Heroux Devtek is a very interesting stock. For one, it operates in the airline industry but not in the way you may think. The company doesn’t deal with passengers, it deals with the automation and landing gear of aircraft. 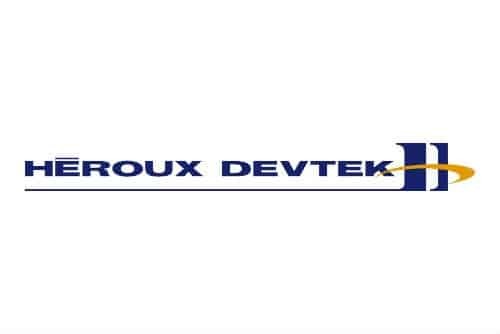 Although the stock is considered relatively small by Canadian standards with a market cap of just over $500 million, Heroux Devtek is the third largest landing gear company in the world. The most important aspect of the company is its contracts, particularly those with the United States military. I think it’s public knowledge that the United States loves to spend money on defense. Case in point, Donald Trump stated the US Military budget in 2019 will be north of $680 billion. Heroux Devtek recently inked a contract to produce landing gear for their C-130H Super Hercules aircraft beginning in 2020. The company posted slam dunk earnings in the third quarter of fiscal 2018. With earnings that beat estimates by over 66% and revenue’s that came in 10% higher than anticipated, the Canadian company is finally getting some attention, and rightfully so. With a 2 year PEG of 0.78, a price to book of 1.43 and a forward price to earnings of 16.33, growth simply isn’t priced into this stock right now. Analysts predict 28.40% in earnings growth and 20.90% in sales growth for 2019. Due to its most recent earnings reports, the stock price has shot up, but analysts feel it can still provide nearly 20% in one year upside potential. Kirkland Lake enters our list at number 7 after have an excellent fiscal 2018. The Canadian mid tier gold mining company posted impressive numbers, and as such the price has skyrocketed. The Canadian miner increased revenue by 22.5% year over year and lowered production costs by 7.2%. Most investors tend to stay away from Canadian gold companies, typically due to their volatility and fluctuating production. But Kirkland has been able to provide solid numbers for some time now. Reducing costs, increasing revenue and production have caught a lot of investors eyes. Want High Risk, High Reward? Gold stocks are extremely prevalent on the TSX. 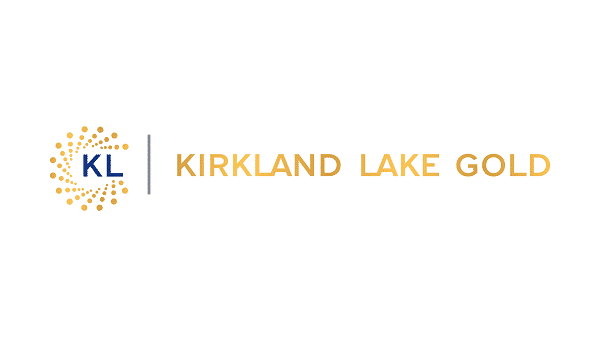 Kirkland is one of the best, but we’ve got way more on our list of the best Canadian gold stocks. The stock comes in at number 7 mainly because of its current price. I would consider the stock overvalued, but for a long term purchaser, it’s not the end of the world getting in at its current mid 40’s price point. The company trades at a P/E of 20.56, a price to book of 7.56 and a price to sales of over 10. It’s plain to see the stock, based on current earnings is overvalued. However, with a 2 year PEG of 0.95, in terms of future growth the stock is still priced reasonably. Analysts predict the Canadian gold miner will post earnings growth of 10.70% and sales growth of 5.30% in 2019. Savaria is a newcomer on our list of the best Canadian stocks, and for good reason. The company is projected to post impressive growth numbers. Savaria is a Canadian based company that provides a range of mobility related products such as stairlifts, platform lifts and elevators. It’s no secret the Canadian population is getting older. In fact, by 2030, the Government of Canada estimates those aged 65 or older will represent 23 percent of the population. This is a 50% increase from today’s numbers. Savaria’s stock price has taken somewhat of a beating in the last while, mainly from a downgrade to guidances and estimations. But the company still has the backing of many analysts, some who expect the company to grow earnings by as much as 66% in 2019, as well as 38.50% in sales growth. The company has fallen from late 2018 highs in the $16 range to sit now at just over $13 a share. Analysts have a 1 year target estimate of $17.63 on the Canadian stock, which provides 33.3% potential upside for prospective investors. The stock is still considered relatively expensive, trading at a price to book of over 3, and EPS of 27. However, with a 2 year PEG of only 1.19, Savaria’s price isn’t too far off considering its growth potential. CGI Group is Canada’s largest technology outsourcing company. It is deeply embedded in government agencies across North America and Europe. The company has a growth through acquisition model. It completed its largest acquisition in its history with its UK-based Logica acquisition back in 2012. Now, years later, the company has reduced its debt and is positioned to make another transformative acquisition. CGI has an impressive track record. It’s has rewarded investors with a compound annual growth rate (CAGR) of approximately 28% over the past five years. Year-to-date, it has bucked the overall market downtrend and its share price has returned 13%. The company has ambitious growth plans and it expects to double in size over the 5-7 years based on 2016 financial results. It has one of the best management teams in the industry and we have no doubt it will achieve its stated growth targets. Falling a spot to number 4 on our list of the best companies to buy stocks in is Parkland Fuel. Parkland Fuel Corporation distributes and markets fuels and lubricants. Parkland delivers refined fuels and other petroleum products to motorists, businesses, consumers, and wholesale customers. It is Canada’s largest and one of North America’s fastest independent marketers of fuel and petroleum products. The company is one of the lone bright spots on the TSX and has returned a healthy 16% YTD and about 22% since we first brought it to your attention back in October and the company is expected to ramp up earnings. In 2017, Parkland has grown sales by approximately 52% and analysts expect Parkland’s earnings to grow 37% in 2019. Parkland’s growth is primarily driven through acquisitions as is evident by its most recent purchase of Chevron Canada’s Downstream fuel business which makes them the exclusive distributor of Chevron-branded fuels. The deal, which closed in October is expected to accelerate cash flow by 30% and add an additional $50 million to EBITDA. This acquisition, which complements its earlier acquisition of CST brands from Alimentation Couche-Tard has rapidly expanded the company’s assets and footprint. Next year should be a monster year for the company. Moving up to number three on our list of the best up and coming stocks to buy is Canada Goose. Canada Goose is one of Canada’s most recent IPOs and has been an incredibly successful one. The company, which began trading on the TSX on March 17 2017 has returned 126% to shareholders. Canada Goose is quickly becoming one of Canada’s most prestigious brands and has turned the parka into a must-have fashion item. What is particularly attractive about the company is that its parkas are becoming a status symbol worldwide. As such, the company has recently announced it is opening flagship stores in Boston and Tokyo, further expanding its worldwide footprint. Furthermore, Canada Goose has recently began to focus on selling direct to consumers online, which will positively impact sales volumes and result in higher margins. According to Canada Goose, jackets sold online earn 2 to 4 times more operating income. With continued expansion and a direct to consumer focus, the company is expected to grow earnings by 25% in 2019. Steady at number 2 spot for the best investment in 2019 is Canopy Growth. We called Canopy growth early in our top cannabis stocks list and top growth stock articles, at around $12. Canopy Growth, outside of having one of the most recognizable tickers on the TSX, is well positioned to take advantage of Canada’s impending legalization of marijuana. Quite simply, the company is in the business of producing and selling legal marijuana in the Canadian market. It is difficult to evaluate a company such as this on fundamentals. Although the cannabis industry has struggled during the first report of earnings after legalizaton, Canopy has fared better than most. Canopy continues to strike deals on a weekly basis and is the best positioned company in the industry. Although it is operating at a loss, this is quite normal for high growth companies. Stocktrades best stock to buy for growth in 2019 is Shopify. Shopify has been one of Canada’s most successful IPO’s in recent years returning almost 400% since its May 29 2015 listing on the TSX. Shopify is best classified as a cloud-based, multi-channel commerce platform. Along with Shopify, we’ve brought stocks to our members that have gained over 30% in as little as 11 days. This platform is used by over half a million businesses in over 175 countries. Since 2012, they have experienced 74% annual merchant growth and major brands such as Canadian Tire, P&G, GE, and Tesla use their product. Despite the huge growth over the past few years, the company still has room to run. To put it into perspective, their current 500K customer base pales in comparison to the approximately 50 million small to medium size businesses across Canada, the U.S. and Europe. Also many larger businesses such as the ones listed above that are recognizing the value of Shopify’s platform. Yep, they currently operate at a loss, but analysts also expect the company to post a profit in 2019. How did you like our list of the best stocks to buy in Canada? Are you a Canadian investor looking to buy stocks, or are you outside of Canada and looking for some good stocks to buy to diversify your portfolio? Comment below! What y’all think about aphria?? I heard that’s going to boom. And heard better than canopy? Hey Rob, in my personal opinion if you’re going to invest in one cannabis company long term, Canopy would be the one to go with. That being said, Aphria is a solid choice as well. Keep in mind right now Aphria is slowly backing out of its American endeavours. Hi, what do you think about Suncor energy ? With all the investment they are doing in driverless trucks and new technology, is it a good buy going forward ? Hey Phulvir, thanks for commenting! In my opinion, I consider Suncor more of an establish income stock. They are included on our list of the best dividend paying stocks in Canada but as a growth company, I think you could find better elsewhere. Especially with the poor price of crude right now. That being said, if you are looking for an established company in the Oil and Gas industry, Suncor would be my top choice. May 21 2008 high price 73.10. May 5, 2018 High price $49.51 Justin is “phasing out ” fossil fuels. A 3% dividend. Personally, I like ALA better ( 9% dividend) or perhaps PPL. Today PPL went up $2.56. I am new to investing, I have about 5000 dollars how can I invest to make some serious money? I don’t know anything about investing yet, but I am slowly learning. I would like to make money and in 20 years be able to say I started with 5000! how can I do this? Hey Dylan, while I really like the optimism, it’s important you stay level-headed in terms of making “serious money”. Often what this will lead to is investments being made in highly volatile stocks and you increase your risk for ruin. I suggest you head to our how to buy stocks page, and sign up for our newsletter and get our Ultimate Investing Handbook. Another benefit of a sign up? In about a months time we are going to be rolling out the biggest growth stock analysis document you can find on the internet for free. It will walk you through the steps of fundamental analysis for a company that could turn out to be highly profitable. I am in a same boat, I have about 15k to play with and I think I want today stocking. do you have any articles/books on day stocking in Canada in 2018. is there any forum of day stockers I can join? Hey Andy. As far as day trading books go, I have only personally read one, back when I was interested in it. It was called the Beginners Guide To Day Trading Online. You can probably easily find it on Amazon. I know they have multiple editions, so I cannot speak for the ones I have not read! Good luck! Dylan, last year I invested in Tesla and made 70% on my investment, in December I changed to Canopy Growth and Aurora Cannabis and made 128%. So how did I do it (I started with 35K and am now up to just over 100K)? First, I did not listen to anyone else, I simply read, read, read!!!! I looked at Tesla and analyzed what product they had (and by the way I did the same thing with Apple in 2007) I then, non emotionally asked myself, how many people would want the product, how much is the company worth (does it have room to go), what is the market (potential). You simply set up a table looking at the four areas and I make my decision based on what the chart shows. So for example when I looked at Tesla it was worth about $20 Billion at the time. Using my chart I thought, how many people would want this product, well the simple answer is LOTS, the car they build is electric which means they are less expensive over the life of the car, they are very well built, so I gave that area a thumbs up. Then I looked at does the company have room to grow, DEFINITELY, the electric car/truck/bus market is wide open, the industry is worth billions of dollars every year, and most people either need a car or will want to get a car (in the present environment). The key is to read! Read everything you can about something and then YOU make the decision. Dont listen to the experts! I have found listening to experts has two negatives. First, they usually (not always) no nothing more than you do about stocks and where the market is going and two when you listen to them and lose money it hurts more than if YOU made the decision, because at least if YOU lose your own money, you learn something from the experience. I dont know where the stock market is going, but I do know that every day I read more, right now I am looking at longevity (due to the baby boom) and I continue to watch the Marijuana sector and Tesla. These are not recommendations, these are just what I am looking at. Good luck, it is challenging to make a lot of money on the market because often things happen that negatively impact your stock that you had no idea was happening. This is why inside trading is lucrative, if you know what is going to happen before everyone else, you have a gigantic advantage. Do you think it is a good move to invest into top canadian marijuana companies? How big do you see their shares (in a very estimate way) in about 5-6 years from now? Hey Mike! Do I think it’s a good move right now? It really depends which company. The problem with cannabis companies right now is everyone is jumping at everything cannabis. Unfortunately, a large chunk of these companies will simply go bankrupt due to there not being enough money to go around. That being said, I bought into Canopy Growth last fall for just under $11, and in my opinion Canopy and Aurora should be the only two companies you even consider holding right now. Unless you have an extreme appetite for risk. The industry is already very volatile, so if you’re going to invest, it is with one of these two frontrunners IMO. Do your own due diligence! One mans perceived treasure could actually be trash, you never want to take anyone else’s word for it. These lists are simply meant to be starter guides. Yes, canopy growth and aurora are good choices. These two company’s stocks and others will be booming once the cannabis for recreational use is legalized in the summer of 2018. What are your thoughts on BioLife4D ?